This ubiquitous seed head will likely evoke two very different feelings depending on your age. To a child, this is a game, a thing of wonder. To many adults, it’s a villain, to be exterminated at all costs. Don’t worry, we’ll change that for you. 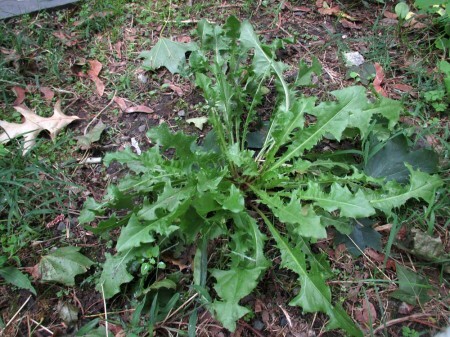 Dandelion (Taraxacum officinale) is an escaped cultivated vegetable that was brought to the new world with the colonists. In fact you can still purchase the leaves in the produce section and the roots in the tea section. 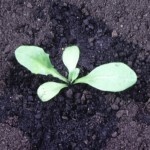 It is packed with nutrients, and particularly high in Vitamin K and A. You can eat every part of the dandelion. The flowers are a favorite snack while walking in my yard or in places I know haven’t been sprayed. They are slightly bitter and slightly sweet, a perfect, pretty, healthy treat. I make a jelly from the petals, and family and friends love it (here is the recipe I use). The leaves are of course edible raw or cooked, and the root is normally roasted and ground and made into a tea. Some say the tea is a coffee substitute, but it really doesn’t taste like coffee. Instead, it is its own warm, dark flavor with abundant medicinal benefits. 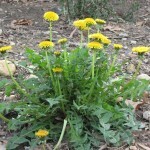 Because dandelion contains so many phytochemicals (chemicals compounds in plants that perform many functions such as protection from pests, and healthiness to humans), it tastes bitter — at least more so than to which we are accustomed. The more you eat it, the more you become accustomed to this once appreciated flavor. But while you’re working on appreciating it, there are many tricks to get dandelion into your diet without eating it raw and straight. You can add it to cooked dishes, throw it in smoothies, and mix it with sorrel (the sour balances out the bitter). 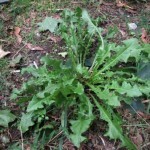 Just like any edible green, dandelion is less bitter if you harvest the leaves before the plant flowers.